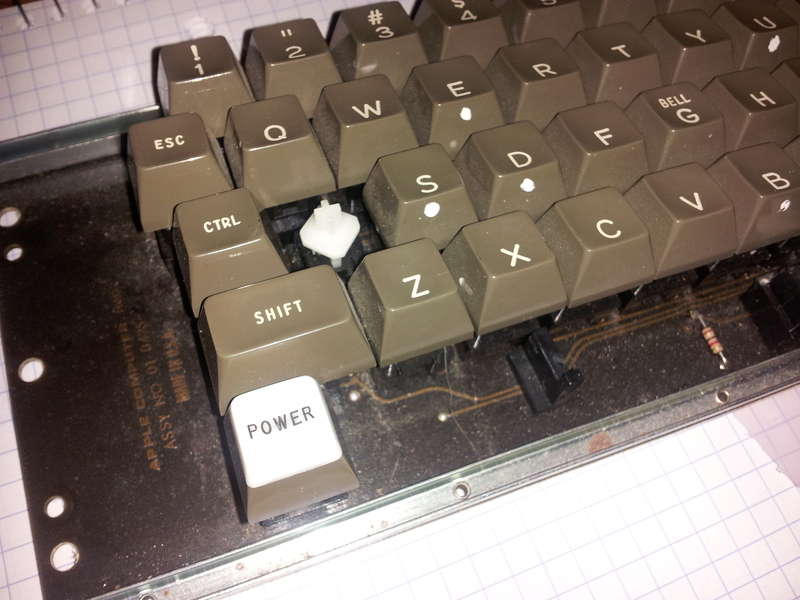 I am looking for a replacement "a" key cap for an Apple II era keyboard. This is the keyboard with the raised power light, and slanted key stems. It is slightly different that the later Apple II+ keyboards with the flat power light. 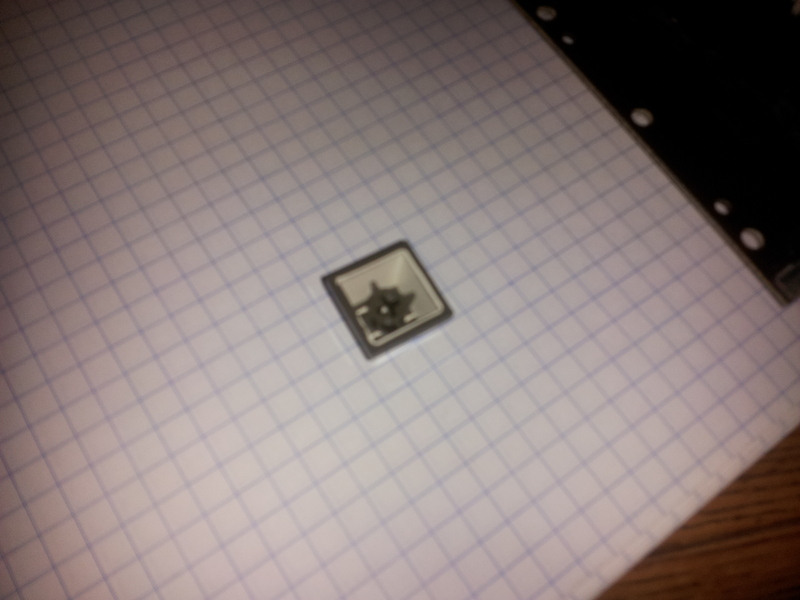 I took a picture of the keyboard and the underside of another key cap for comparison (though my camera had trouble focusing on the second pic). Let me know if ya'll have one, I am happy to compensate! That is one of the first Apple // keyboards I may have those keycaps. Have you got a 'U' key available?